Time for those Wild Card picks. Cory, make it happen. Cory: Les, I’m going to mix it up and throw out the first Wild Card pick. As a reminder, this slot is reserved for any non-drama or comedy. Meaning, all sorts of great and compelling television is still available to be picked for this spot. But I think I have the best. Legacy in one sentence: It’s Sesame Street, duh. I want to thank friend of TWTV Chris Becker for suggesting in the comments of our introductory piece that we consider admitting long-running but still airing shows that probably won’t ever go away. Certain shows have been around for much longer than the two of us have been alive and they are ingrained into the fabric of television and television culture. They shouldn’t be disregarded simply for not getting cancelled. That’s silly. Chris’s suggestion also allows me to make great use of the Wild Card pick by suggesting a program that really shouldn’t be able to lose in a competition like this: Sesame Street. It’s hard to pass up the opportunity to vote for a show that was likely one of, if not the, first most viewers watched on a regular basis. According to a 2008 study, more than 77 million Americans watched the show when they were children. That’s a lot of people learning about not only the alphabet and numbers, but also televised storytelling. Speaking from personal experience, Street had a big impact on my life, and it’s because of my experience watching it every day as a kid while my mom took care of whatever she had to that I always shudder when they say kids shouldn’t be watching television. I still remember certain guests or individual moments from more than 20 years ago, and I’m betting that other people have similar memories from even longer ago. While Street‘s extended time on the air is a testament to its ability to appeal to kids with charming (and marketable) characters, it is also a sign that the show and its creative team has consistently changed with the times, integrating varying social and cultural elements with relative ease. It has never failed to attract kids and help them learn, just as it has rarely failed to be culturally relevant somehow. A number of trendy children’s programs have come and gone with their flashier approaches and overly gimmicky songs or what have you (when I was young, it was Barney), but Sesame Street remains. It is more than a television show, or a learning tool—it’s an institution. Without Sesame Street, the landscape of children’s television would have likely been very different. Though it might often be lip service, most producers of education-centric children’s television immediately point to Street‘s influence and approach to enable learning as the model they hope to improve on. The interactivity of Blue’s Clues was based greatly on taking the Street model one step further to a more interactive place. Cartoons like Dora the Explorer followed suit. 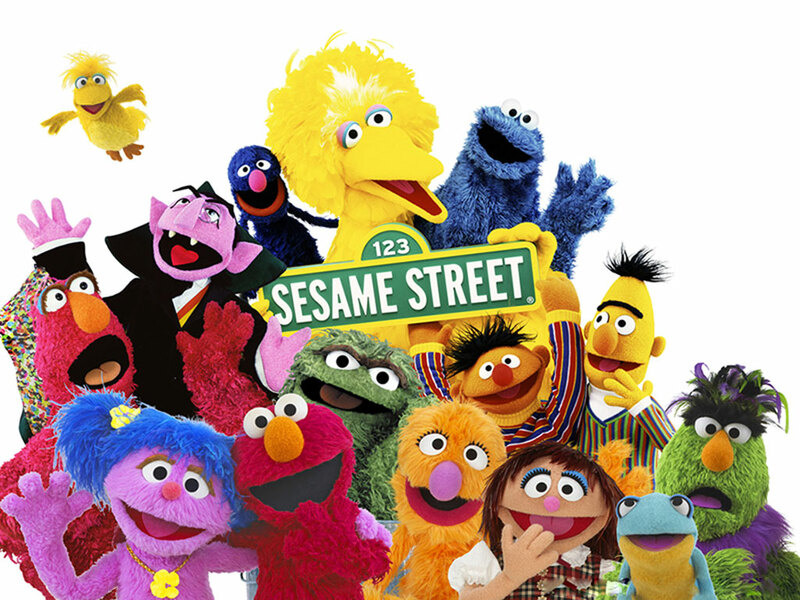 And although we here at TWTV are skeptical of the ultimate impact of the Emmy awards, I will point out that Sesame Street has more Emmys than any other show in the history of television with over 120. Those are just wins; imagine the number of nominations (that I cannot seem to find). So, despite Elmo and that weird moment where we thought the Cookie Monster might not be the Cookie Monster anymore, it’s hard to argue against Street‘s credentials. Les: Goddamn you, Barker, making me vote against my childhood. Because that’s exactly what Sesame Street is, childhood. I don’t have the most concrete memories of the show given how young I was when I watched it, but the enduring image of what Jim Henson created there is so imprinted on my brain that it doesn’t make a difference. Big Bird, the Count, Oscar the Grouch, Bert and Ernie—these are characters that are nothing short of eternal. This show has raised kids ever since its inception, and like you say it’s done so by changing with the times while never losing the heart and soul and desire to educate that made it so successful at the beginning. Even at the bottom of my cold obsidian heart, I don’t ever want to conceive of a world where Sesame Street doesn’t exist, because (to paraphrase Douglas Adams on endangered species) the world would be a poorer, darker, lonelier place without it. So, I’m hard-pressed to come up with a challenger to it, but I think I’ve got one: a show that’s also still on the air and that’s been on the air almost as long as Sesame Street, and one that’s offered a very different education to the world. Wild Card pick: Saturday Night Live, NBC, 1975–present. Legacy in one sentence: The late-night sketch comedy show at which all others aimed in vain. I know given the show’s reputation in recent years (sparkling apple juice anybody?) there’s a lot of people who would dispute if Saturday Night Live deserves to be anywhere near a discussion of the best television shows ever. But a lot of the annoyance over the show not being as good these days comes from the fact that for years—decades, even—Saturday Night Live was an unquestionable voice of comedy. It was edgy, it was random, it was politically savvy, it was groundbreaking: it was essentially everything you wanted out of a sketch comedy show. There are sketches in the annals of SNL that stand alongside Abbott and Costello routines or Monty Python’s flights of fancy, performances that were sharply written and sharply performed all within the grind of live performances to an unforgiving audience. SNL had to be the best at what it did, and for quite a long while it was. And I think it’s also impossible to discount the sheer volume of talent the show has generated over the years. The very nature of the show means it’s a constantly replenishing pool of talent, mining North America’s improv workshops and comedy clubs for the most talented voices, so many of whom both created immortal characters and went on to bigger and better roles in Hollywood. 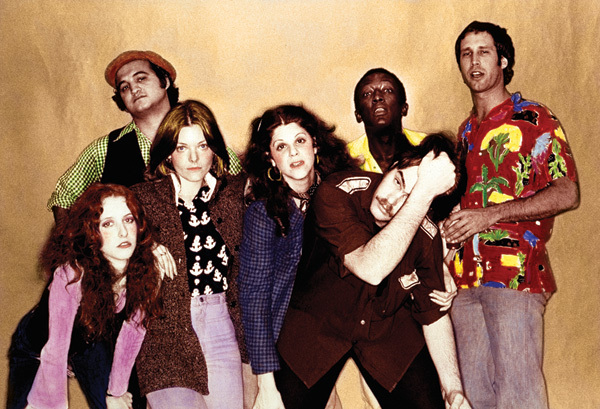 You can almost date yourself by the particular era of SNL you first watched: were you there at the start for “The Not Ready For Prime-Time Players” of John Belushi, Dan Aykroyd, and Gilda Radner? (“Cheeseburger-cheeseburger-Pepsi-two-chips!”) The revival years when Adam Sandler, Chris Rock, Chris Farley, and Mike Myers were partying on with Wayne’s World and living in a van down by the river? Or the turn of the century when Darrell Hammond, Will Ferrell, and Tina Fey were delivering some of the cutting political commentary and Weekend Updates in the wake of the 2000 elections? Even today, people like Kristin Wiig, Fred Armisen, and Jay Pharoah are emerging from the show’s ranks to deliver noteworthy acts, proving that it may drive into a few ditches but there’s still a perpetual motion machine driving it forward. Cory: Oh, nice choice. Saturday Night Live and Sesame Street make a great pairing, actually. While Sesame Street is the cultural touchstone of most American youths, SNL is one of those shows that fills a similar but different function for us when we are older. It’s the show of our later teenage years, one that, depending on our age and “era,” shows you a more complex and cynical world. There is no denying the assembly line of comedy stars that the show has produced or the sheer amount of great sketches or even little individual moments that SNL has brought to us in its nearly 40 years on NBC’s airwaves. Your points about the show’s consistent ability to reinvent itself are very valid, and there is something to be said for it being looked at as a “must-watch” during big election seasons (even if most of the contemporary jabs at politicians barely go beyond poking impersonation). Discarding rigid ideas of format or genre, you could make a strong case that SNL belongs in the discussion about most important comedies, period. Nevertheless, Wayne and Garth don’t quite match up with Bert and Ernie. While Saturday Night Live‘s cultural relevancy has ebbed and flowed over time, Sesame Street‘s has remained consistent. SNL has probably had higher highs but has certainly had lower lows as well. More people are paying attention so it’s easier for someone to write a “What’s wrong with SNL” thinkpiece than it is for a critic to do the same about Street. However, Street keeps chugging along, winning Emmys, racking up the merchandise and ancillary sales, and pleasing its audience. Sesame Street has faced its share of competitors over the years, and maybe in 2012 it doesn’t matter to kids as much as a handful of other programs, but it still matters nonetheless. SNL, on the other hand, continues to lose steam to the likes of The Daily Show, The Colbert Report, and perhaps most importantly, the Internet, where comedy and sketches can be easily produced, distributed, and shared. SNL is far from irrelevant, but the clock might be ticking a little bit. Moreover, I would find it hard to bet against a show that’s been so successful at helping kids learn. Comedy and commentary has its place in the world and on television for sure, but Sesame Street assists children learn how to count, read, problem-solve, and more, while still remaining ever-entertaining. Though the show makes it look really easy, I can’t imagine that it actually is. Oh yeah, and Jim Henson’s Muppets. MUPPETS.